As a busy wife, mother and business owner, I don’t really have a “typical” day. In fact, sometimes my days are so crazy-busy that I don’t even know which day of the week it is! I literally run from one activity to the next, trying to squeeze all that I can into one day, all while doing my best to breathe, find balance and stay positive. One thing I do every day are rituals and establish non-negotiables. These are what keep me grounded, sane and moving forward in my deep-seated dreams and soul purpose. I start my day drinking lemon water and meditating. I then proceed to getting my girls off to school on time. Once the kids are off to school, it’s time to work on my growing business. During the business day, I ensure I make time for moving my body and getting in to nature. When I head to the store, the gym or a casual meet up, I slip on my Skechers. These shoes are so convenient for me and since I can just slip them right on without having to tie them, it’s one less step for me, which allows me to race to my next activity quicker! And when I put them on, there is a sense of comfort and support underneath me, and that’s exactly what I need to get through my busy day! That’s why I love YOU by Skechers so much! As the day closes, and I’m around the dinner table with my family, I am thankful for daily rituals. Rituals of healing foods, healing movement and a healing mindset to keep me aligned with all the creations blooming in my soul. Colorado girl Danette May is a certified fitness professional, author, Pilates instructor and nutritionist, with over 15 years in the business. Through her positive messaging, motivation & fitness plans, she has changed the lives of thousands of people by transforming their bodies & helping them achieve their fitness & wellness goals. She holds a degree in pre-med and nutrition, and is the founder of Mindful Health, LLC, a platform that provides millions of people around the world with the tools, knowledge, and inspiration to look and feel their best while inspiring them to live more healthy and zestful lives. Learn more about Danette at DanetteMay.com. We partnered with Joanna Clute from Motherhood and Merlot to show us how to gear up the entire family with Skechers boots for the fall season. With the change in season right around the corner, Skechers has some fabulous boot styles for everyone in your crew. From toddler booties, to school-age kiddos and adults, there is something for everyone. I love the fall season, and boots/booties are a must have for your closet when the weather starts to cool down. My girls and I chose very different styles. It’s great that Skechers has so many options, so that everyone has something to wear. Bell sleeves and ruffles are trending big time now, and I would put them on all of my kids if they would let me! My two youngest girls will be living in this trend this season. I love that the gold Little Lady booties pair so well with dresses, or pants and a cute top. Here in Arizona, we can pretty much wear dresses all year round, but I know that fall in some areas is much cooler, so these versatile booties are perfect for all climates. My favorite way to pair my daughter’s western-style Mad Dash booties are with a flannel t-shirt dress. I adore the way that this looks on her, and it is so easy to style! These booties also come in black, as well as the brown color that she is wearing. For myself, I chose the burgundy Taxi – Accolade booties and I am obsessed! Red is a power color for fall, and these booties do not disappoint. They look great with jeans, or a dress (with bell sleeves of course), and the color is just perfect for the warm tones of fall. Plus, they have the soft memory foam insole, so they are EXTREMELY comfortable. When walking around with four kids at the pumpkin patch, this is a must for me! These are also available in taupe, which I am dying to get, and black. A must-have in every color. A huge thanks to Skechers for asking me to share some fall looks for the whole family with all of you! It is so much fun rocking these adorable booties and getting to dress up my girls as we all prepare for fall. What are your favorite fall styles this season? Let me know in the comments! And check out my blog Motherhood and Merlot for more seasonal outfits, beauty posts, and motherhood topics. A member of our team just headed back to college (like many of you)… now a senior, she looks back on her past college years with lots of great experiences under her belt – and four easy tips to make your years just as fun and memorable. Read on for some great advice on how to make the most of your time on campus. I can’t believe it, but I’m finally back at school for my last year at the University of South Carolina. Saying goodbye to my family in California is always tough, but I have established such an amazing group of friends at school and have come to love South Carolina and think of it as a second home! 1) Choose classes that are most interesting to you and that are being taught by the best professors, even if that means waking up early for an 8 a.m. class. 2) Write everything down! I always carry around a notebook so that I can jot down assignments, meetings, and other plans that pop up throughout the day. I have definitely forgotten about deadlines in the past, so this is a must-do for me! 3) Schedule time to work out once in a while! I teach classes at my gym, which gives me the opportunity to move my body while focusing on inspiring my peers. 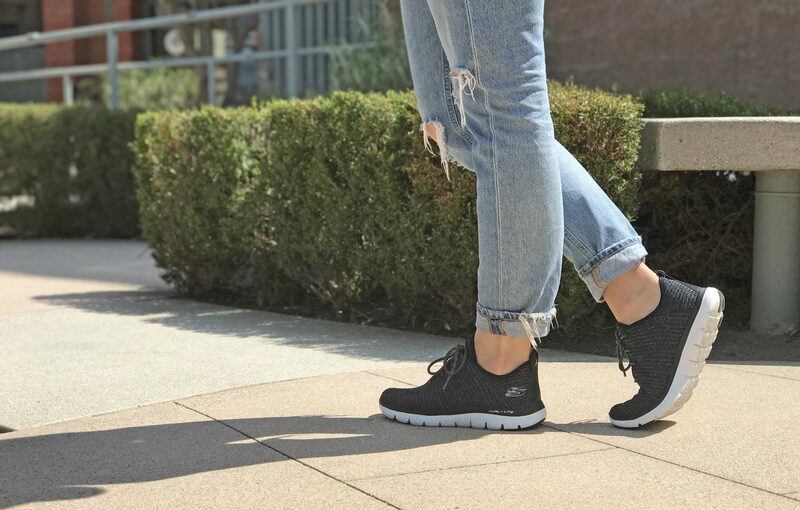 Since working out is my job, I am pretty much always wearing comfortable shoes like the Skechers Flex Appeal 2.0 – Bold Move so I can go from class to gym in no time! 4) Always say yes to spending time with friends. It is easy to get caught up in the stress of writing papers and studying for exams, but take advantage of every minute that you have to hang out with the people who know you the best! My friends and I love going on mini road trips on the weekends; nearby Charleston is probably one of our favorite places to go! 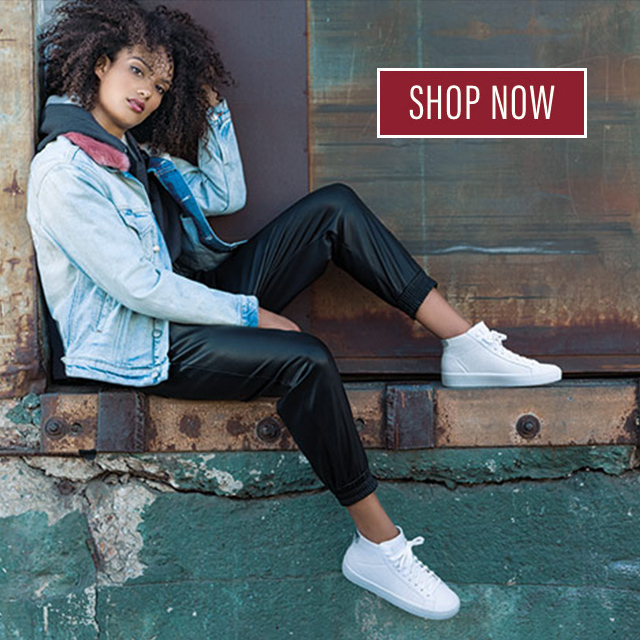 I love wearing the Skechers Vaso – Flor on fun girls’ weekends because they go with pretty much everything and are comfortable enough to explore new places in! As a rising senior, I can honestly say how quickly college flies by! Take advantage of every opportunity; there will be tons. Don’t be afraid to make mistakes and fail; those mistakes and failures will teach you so much more than acing an exam or winning an award ever will. Lastly, remember to have fun! What wisdom have you gathered during your school years? Share your best memories with us! At top: The Flex Appeal 2.0 – Bold Move in black and white. It seems incredibly appropriate that today is National Relaxation Day. We suggest marking the occasion as a reminder to take a deep breath and enjoy these last couple weeks of August before the end of the unofficial summer season. With all the travel and getaways and barbecues and beach days, sometimes summer seems to pass by in the blink of an eye as the cooler days of autumn sneak up on us. In the end, all that matters is locking in the time to do whatever sets your mind at ease. It almost seems counterproductive to make an appointment for relaxation, but if we don’t carve out the time in our busy lives—it just passes us by! So don’t miss out and treat yourself while the sun is still bright and the weather still warm. A few more perfectly comfy slip on Relaxed Fit styles—the Men’s Harper – Moven and women’s Breathe Easy – Like Crazy seen above. And the women’s Empire – Inside Look seen below. Let us know what you’re doing to find relaxation this summer in the comments!